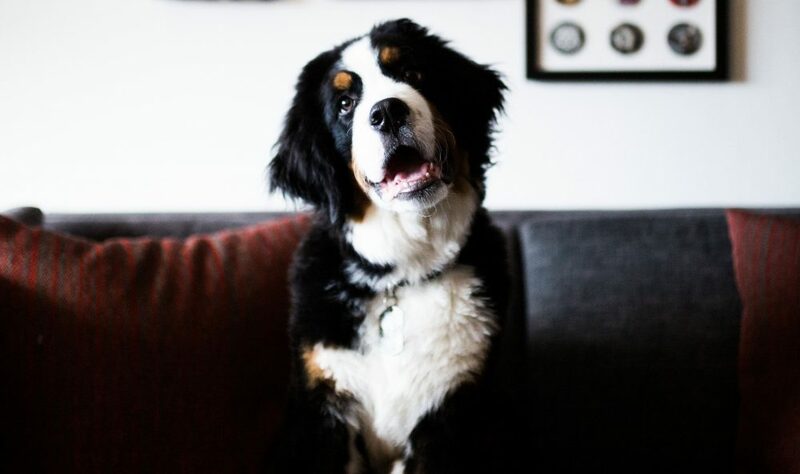 In a town that’s growing as fast as Nashville, a neighborhood must be really scorching hot to stand out, but that’s exactly what’s taking place in the burgeoning Wedgewood-Houston district. 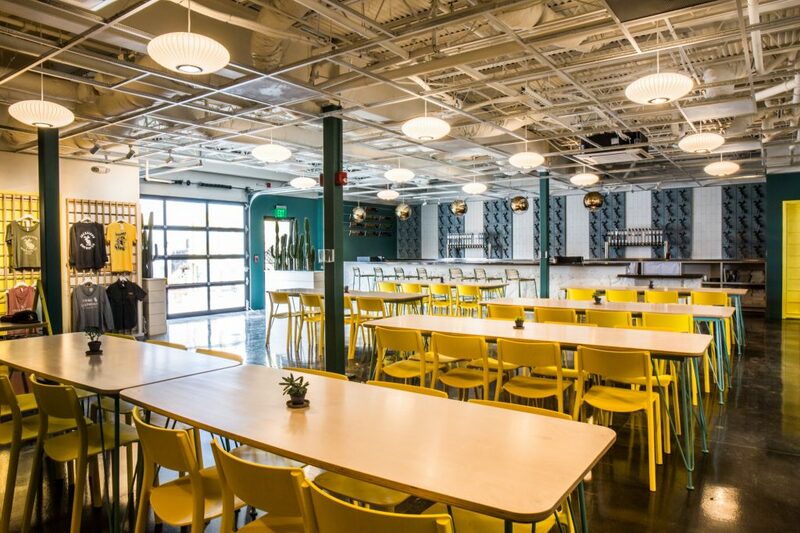 In a town that’s growing as fast as Nashville, a neighborhood must be really scorching hot to stand out, but that’s exactly what’s taking place in the burgeoning Wedgewood-Houston district. 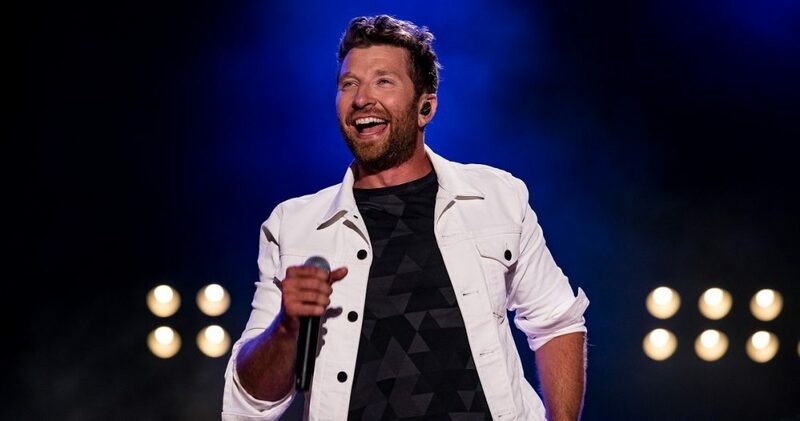 Playfully referred to as “We-Ho,” (but not by anybody with any self-respect) the formerly industrial neighborhood that surrounds the old Greer Stadium minor league ballpark has seen a boom in residential and commercial development over the past five years. Less than a ten-minute drive from the downtown core, Wedgewood-Houston is attracting a demographic of young, creative new residents who are breathing new life into the area. Here are some of the best spots to visit as you discover this exciting new enclave. 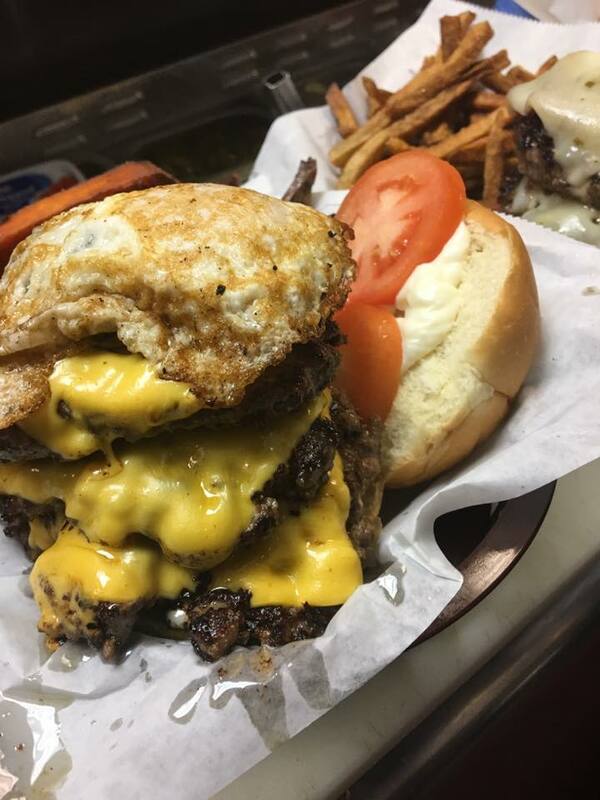 One of the first salvos in the rebirth of Wedgewood-Houston was the opening of Gabby’s Burgers & Fries, a humble burger joint serving up some of the most beloved patties in town. Situated on the former locale of beloved old-school meat-and-three Hap Townes, Gabby’s keeps the culinary tradition of excellence alive with a creative menu of burgers, hot dogs and shakes. There’s even a secret menu of extra items, but you’ll have to ask nicely to gain access to the password-protected section of the website. Dozen Bakery also serves up some darned respectable sandwiches in their cafe, but they are best known for their pastries and breads. Specialties include scones, muffins, cookies and croissants, but you really can’t go wrong with anything from the pastry case. Tucked back off Wedgewood Avenue near the Fairgrounds, Smokin’ Thighs has earned legions of fans through their dedication to focusing on cooking pretty much nothing but chicken, and not even the whole birds. 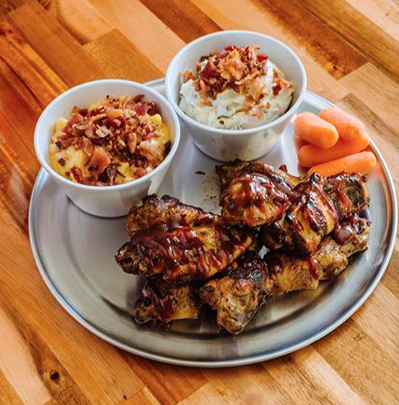 Eschewing dry breasts, the kitchen at Smokin’ Thighs prefers dark meat, thighs, wings and leg quarters. They also serve an outrageous version of pimento mac & cheese with your choice of toppings. 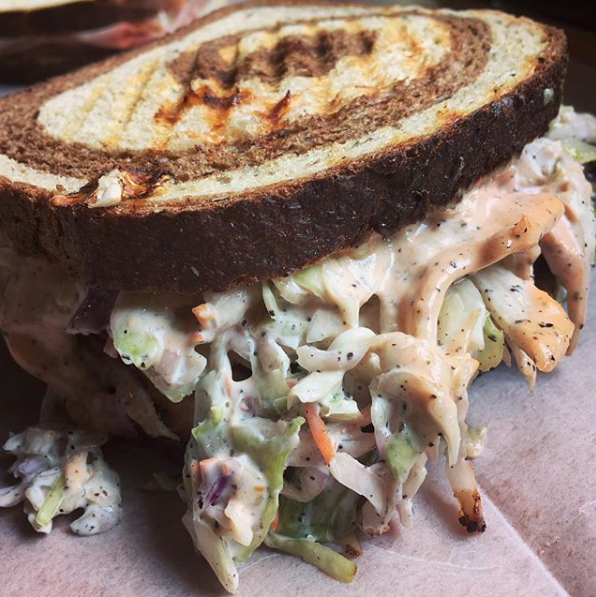 For a quick grab-and-go meal, neighborhood residents love Clawson’s Pub & Deli. The menu features more than a dozen specialty sandwiches highlighted by one of the best Cubans north of Miami. There’s also a long list of fine craft beers available to drink in or take out. 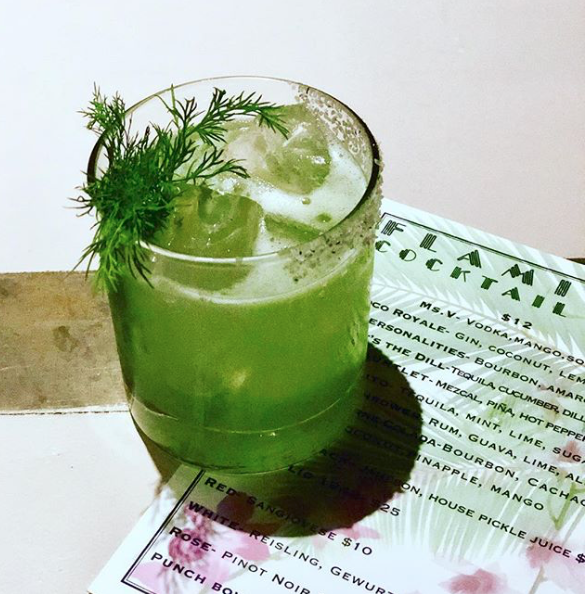 Hemingway’s Bar & Hideaway is on the ground floor of a former hosiery building, but it feels almost subterranean thanks to the thick stone walls and speakeasy vibe of the comfortable dining room and bar. 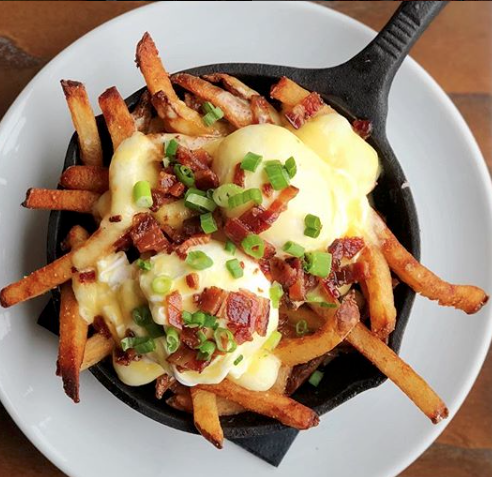 The menu is filled with inventive comfort food ranging from an elevated poutine dish with fried chicken to a rich plate of braised lamb shoulder. The bar program is run by attentive and talented mixologists who like to query their guests about their preferences before suggesting a specific cocktail. 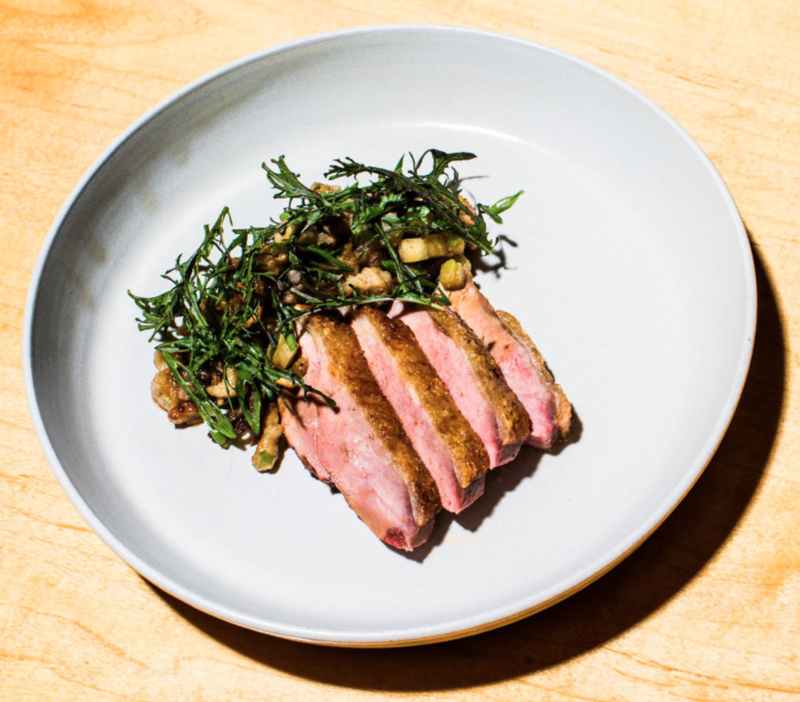 Josh Habiger is considered one of, if not the single best chef in Nashville, going back to his days as one of the opening chefs at The Catbird Seat. His latest project is Bastion, an interesting bar/restaurant hybrid that has quickly gained a vaunted reputation. On the bar side, they serve bracing drinks and creative cocktails with a food menu that couldn’t be simpler: Nachos. That’s it, but man, are they good nachos! In the separate dining area hidden away behind a semi-secret door, Habiger runs a tiny 24-seat restaurant where guests can sit at a chefs bar and order a meal of small dishes from a grid of options that change daily at the whim of the chef, or they can dine in groups of 4-6 on large format dishes served family-style to the table. Either way you go, it’s sure to be a truly special experience. Not only does Wedgewood-Houston feature an active bar culture highlighted by the aforementioned Hemingway’s and Bastion, it’s also the site of alcohol production in the form of a brewery, two distilleries and even Nashville’s first craft cidery. 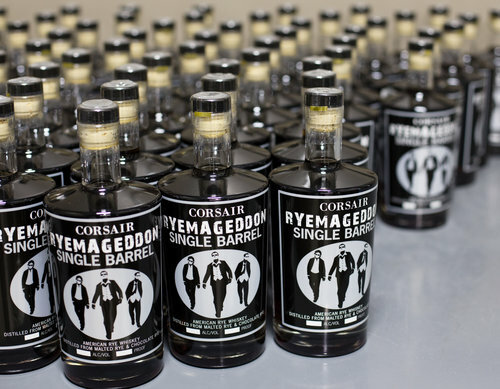 Corsair Artisan Distillery opened their second local facility in Wedgewood-Houston joining their Marathon Village location, and the addition of a cozy tasting room means that visitors can sample their spirits individually or as part of tasty cocktails. In addition to the tastings, you can take a public tour that showcases their custom-made 800 gallon potstill, 3 condensing stills, fermentation vessels, blending tanks, barrel aging warehouse and bottling line. It’s a great way to learn about the distilling process from grain to bottle. 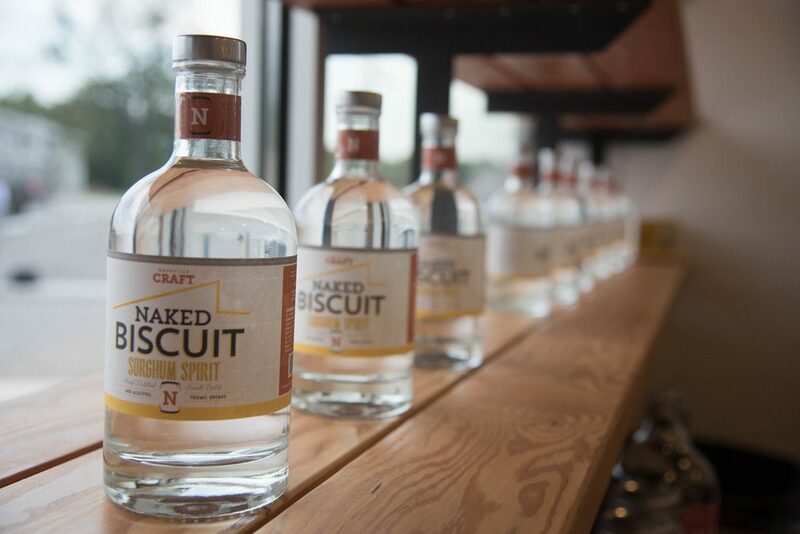 Around the corner at Nashville Craft Distillery visitors can explore spirits production on a smaller scale. The micro-distillery also offers tours, but you can pretty much see everything in one glance as all the magic takes place in the same room. They make an interesting local gin, a sorghum-based spirits and a honey liqueur that is delightfully spiced with natural ginger, cardamom, lemon peel and cinnamon. Jackalope Brewing has already established themselves as a favorite local brewery at their original location on Eighth Avenue near the Gulch, and their modern new facility in Wedgewood-Houston represents a huge expansion in production. Known as “The Ranch,” Jackalope’s second brewery features a large outdoor patio, expansive tasting room and a high-tech brewing system that rivals any other in town. 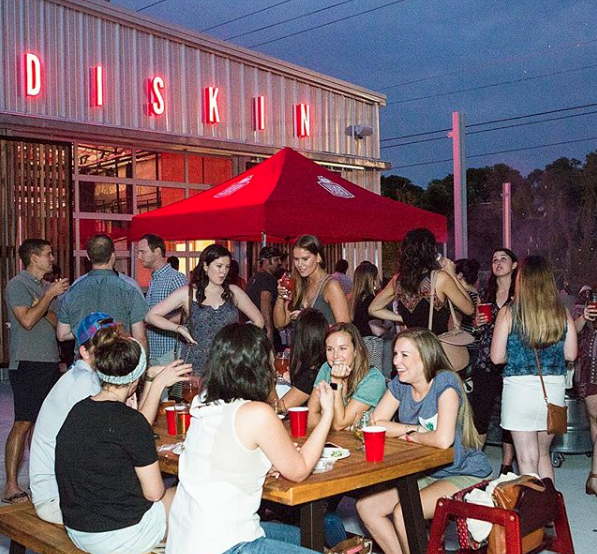 Nashville finally has a large-scale cidery thanks to the opening of Diskin, a modern facility in an 8000-square foot converted warehouse. 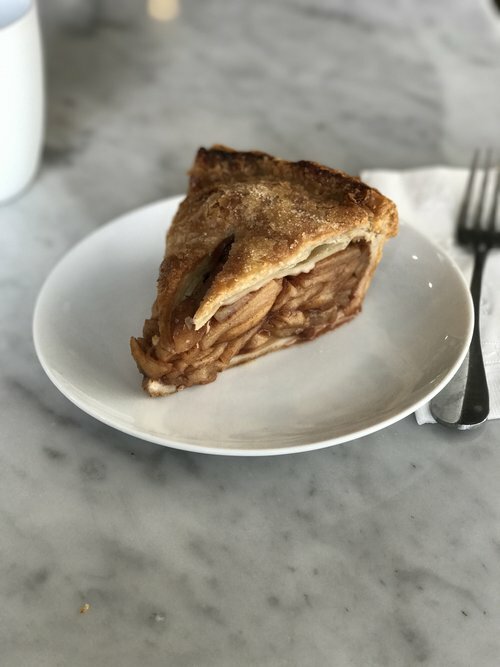 Producing multiple recipes from sweet to dry, Diskin has something for just about anyone’s taste, and bonus, it’s gluten-free. Visitors can sample the ciders by themselves or as part of a list of ingenuitive cocktails in the open and airy tasting room. There’s also a menu of made-from-scratch snacks and shareables which changes seasonally. If you’d rather enjoy a cocktail without necessarily learning where its components came from, you can simply drop into the flashy new Flamingo Cocktail Club. Decorated with a cool South Florida vibe, Flamingo encourages a refined clientele thanks to a classy dress code and the admonition to limit cell phone use to their outside deck. A menu of fun tiki and tropical drinks ensures that the party is always pumping! 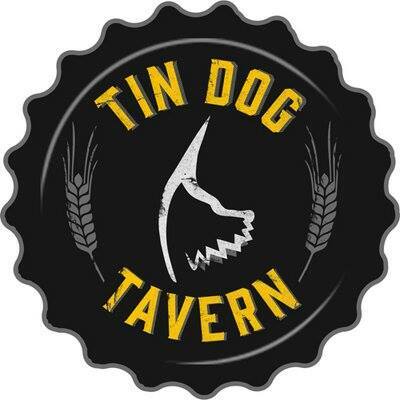 Finally, no neighborhood is complete without at least one good dive bar, and Tin Dog Tavern fills the bill quite nicely for Wedgewood-Houston. 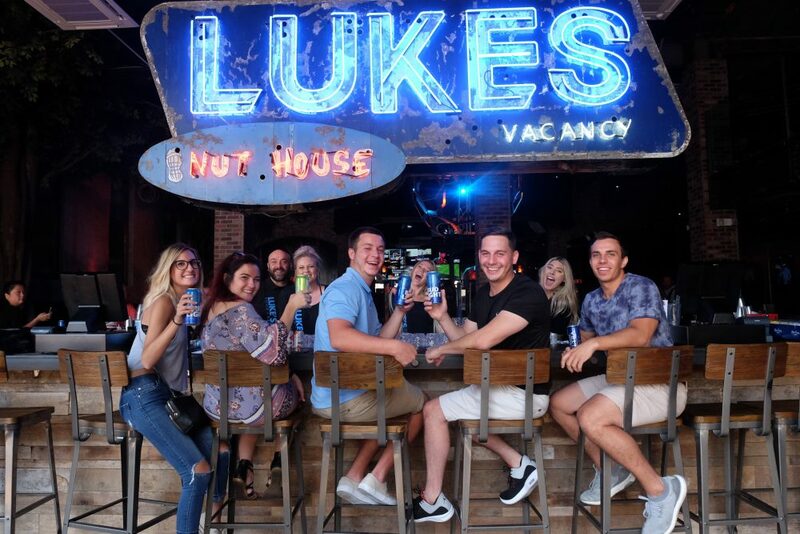 Cold beer, strong drinks, a generous happy hour and pool tables check all the boxes for a proper local hang, and the addition of live music is a bonus that fits right in as part of a beloved Nashville bar. Consider the dress code to be the exact opposite of Flamingo’s.